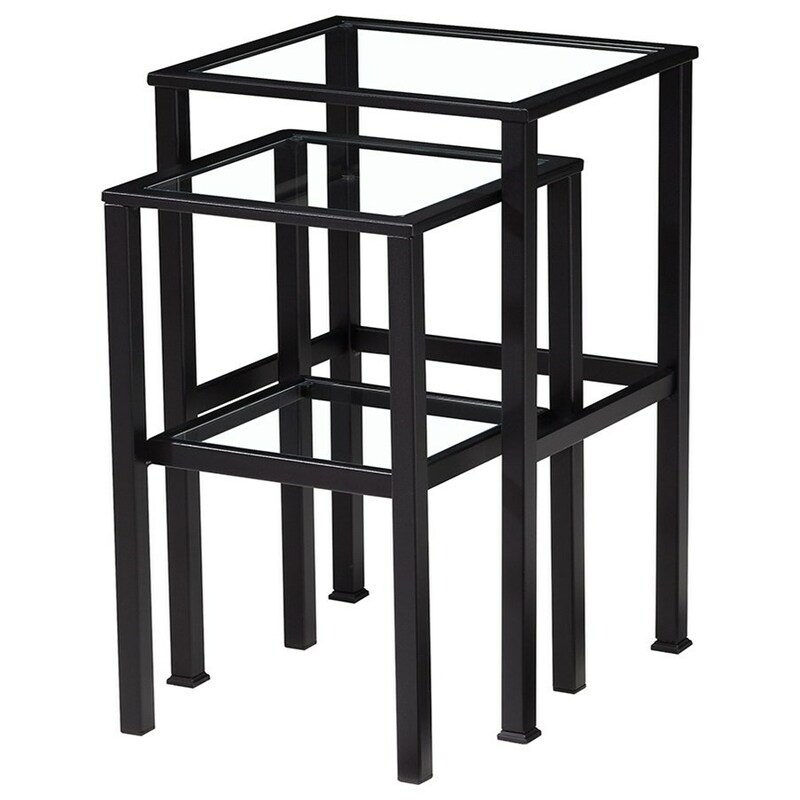 Bring a vintage industrial look to your living room with this set of nesting tables. The space-saving set is perfect for condos, apartments, or smaller living spaces, as when not in use the smaller table fits neatly under the larger end table. A metal frame speaks to industrial style, while glass tops provide an elegant flourish. The Vintage Metal Nesting Tables with Inset Glass Tops by Artage International at Stoney Creek Furniture in the Toronto, Hamilton, Vaughan, Stoney Creek, Ontario area. Product availability may vary. Contact us for the most current availability on this product. Case Construction Metal and 6mm inset glass. Browse other items in the Vintage collection from Stoney Creek Furniture in the Toronto, Hamilton, Vaughan, Stoney Creek, Ontario area.